According to a study of more than 800 households by Affinity Security Center, 28% of women interviewed said they had been the victim of some level of identity theft fraud compared to 21percent of men. Why is it that women fall victim to identity theft more often than men? Is it because we are more trusting by nature or perhaps more careless with our personal information? Not necessarily either. While many factors contribute to the disparity between men and women, according to the study, one of the biggest factors is on-line shopping. Surprisingly, this digital commerce (purchasing on-line) with built-in technology safeguards, actually makes identity theft more difficult to pursue. Because men engage in more on-line shopping over real world retail, they are actually less prone to identity theft and fraud.Women, on the other hand, tend to have more in-person transactions with restaurants, salon, grocery and store purchases. The report found that most fraud attacks against women occur through in-person purchases, where there is less consumer-control. The report also showed that women are less likely to discover and report the fraud in a timely manner, which unfortunately results in taking longer to restore their identity. In a separate study by the Identify Theft Assistance Center, about one fourth of all cases of identity theft are committed by a friend, family member, acquaintance or in-house employee. Lost or stolen wallets, checkbooks or credit cards account for about 15 percent of fraud, with mail/trash fraud trailing close behind at 11 percent. For more information on what to do should you become a victim or to help prevent you from becoming a victim, you can visit the Federal Trade Commission site atwww.ftd.gov. No one is immune – which isn’t to say, that we’re powerless. There’s a lot we can do to deter, detect, and defend ourselves against identify theft. Have you ever dreamed about owning a business? Many people have. Maybe you have dreamed about starting a catering business or owning a quilt shop or a coaching/ consultant business. According to the Small Business Administration, there are more than 27 million small businesses in the US. It is no wonder small businesses are often thought of as the backbone of America and why many financial analysts say they are the vehicle which is driving us out of an economic downturn. Well before you hang your shingle above the door of your new shop….here are six tips that will help you get started on the right foot. Create a business plan. While it may seem daunting at first, a business plan will help you gain a better understanding of your industry structure, competitive landscape, capital requirements and more. Decide what business entity is right for you. The most common types of business are the sole proprietorship, partnership, LLC, corporation and S corporation. Each of these entities has different tax requirements, so determining the right entity for you is of key importance. Obtain an Employer Identification Number (EIN) which is used to identify a business entity. Most businesses need an EIN, although some do not. Visit www.IRS.gov for more information. If needed, you can apply for an EIN online. Also be sure to register with the state you are doing business in. Determine what taxes you must pay and how you will pay them. The four general types of business taxes are income tax, self-employment tax, employment tax and sales tax. Keep good records. This will help ensure a successful operation of your new business. You may choose any record-keeping system suited to your business that clearly shows your income and expenses. Except in a few cases, the law does not require any special kind of records. However, the business you are in affects the type of records you need for federal tax purposes. Adopt a consistent accounting method. Each taxpayer should use a consistent accounting method which is a set of rules for determining when to report income and expenses. The most commonly used accounting methods are the cash method and accrual method. Owning your business can bring you countless rewards and help you live your dream. 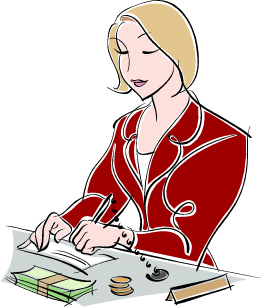 For more information on how to get your business started, it is best to consult with your CPA. She will be able to help you avoid many of the mistakes first time business owners make, and help you achieve success with your new business. If you’re like me, you might have been holding your breath just a bit as Congress debated as to whether or not to extend the payroll tax cut extension for the remainder of 2012. And of course, the good news is…they did. Actually, I found it quite refreshing as both sides of Congress put differences aside in a rare display of bipartisanship and chose to do what was right for the American people. Good for them. Good for us! The original payroll tax break in 2011 cut 2% from payroll taxes used to pay for Social Security, lowering the tax rate for 160 million Americans. The tax break was extended for two months at the end of last year. And last month, under the Middle Class Tax Relief and Job Creation Act of 2012 workers will continue to receive larger paychecks for the rest of this year based on a lower social security tax withholding rate of 4.2%. No action is required by workers to continue receiving the payroll tax cut, and as before, the lower rate will have no effect on worker’s future Social Security benefits. The reduction in revenues to the Social Security Trust Fund will be made up by transfers from the General Fund. For an employee earning $50,000 a year that means keeping an extra $80 a month in take-home pay. For higher-income employees, that extra income could be as high as $2,200 a year, and with the rising cost of groceries and gas, well it certainly can’t hurt. In addition, more people spending more money will add a needed boost to a sluggish economy – which was the initial intent of the tax cut. But beware. The tax cut is still temporary and once it has expired, and our paychecks have been reduced, we may find it harder to adjust our spending back down. It’s not that we consumers are necessarily consciously choosing to spend the extra cash. In all likelihood, we may not even have noticed the difference in our paychecks. It’s just that money tends to be spent unless we make an effort to set it aside. While saving is never as much fun as spending, we might consider using that extra money to pay down high-interest debt, increase contributions to flex or health savings accounts, or since it is Social Security tax money, we might think about adding to our retirement accounts. The important thing to remember is that this payroll tax cut is only temporary and will most likely be adjusted accordingly next year, and that could mean a decrease in our take home pay. You are currently viewing the archives for April, 2012 at McGowen, Hurst, Clark & Smith.